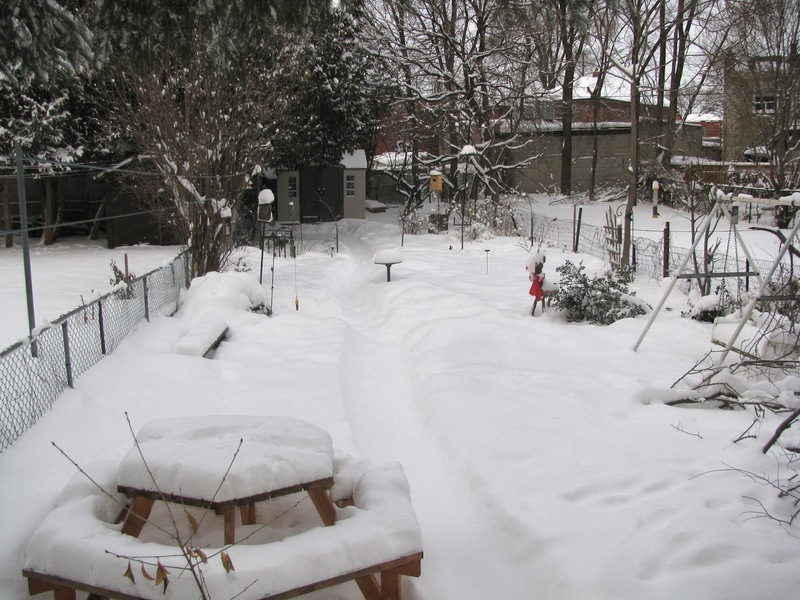 Our snowy backyard this afternoon. In the almost 25 years I have lived in Toronto, I do not remember a winter like this. It's been colder and snowier than I ever remember. It reminds me of my childhood growing up in Nova Scotia, minus the "snow days" from school. I enjoy winter, but even I will admit I am looking forward to the arrival of Spring. The trees budding, the flowers poking through the ground and the birds nesting. So much to look forward to! Keep the faith, Spring will come. Dreaming of these days to come. This is the snowiest winter we've had down here in Windsor that I can remember. 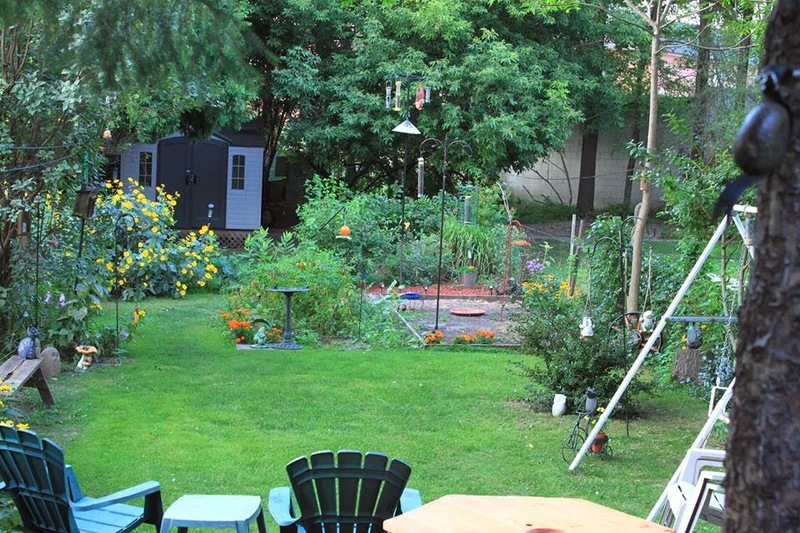 Ahhhhhhhh, the photo of your yard is making me feel restless to get out and garden. I can't wait! I wish we were having along cold winter all we have is endless rain.